As can be seen in the top pic, this bird is attempting to pick up food with it's damaged bill though I cannot imagine how it can feed itself with the position of the upper and lower mandibles as they are. 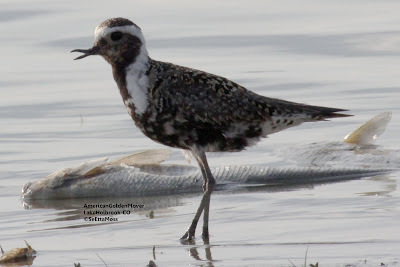 The bird let me approach on foot relatively close (40-50 feet) and once I got close enough to see the bill well I realized it might be doing so because it is very hungry. 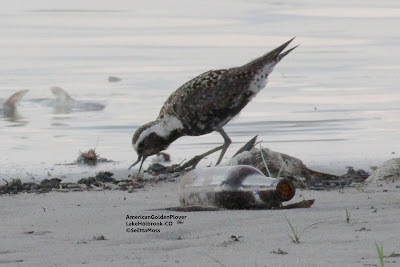 So I took my photos where the bird was (in lieu of waiting for it to move to a less trashed up (with beer bottle) location and backed away to let it try to feed.